Kia isn’t one to rest on their successful laurels, and the 2019 refresh of the Kia Sportage is proof. Though only on the market for two years, the 2019 Kia Sportage has been updated throughout–and Kia has some hybrid plans in store for one of their most popular SUVs. 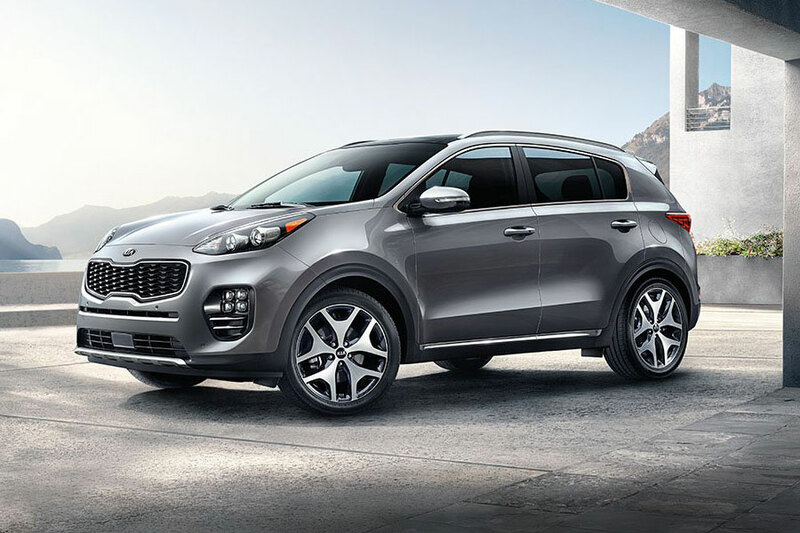 After only two years on the market, the Kia Sportage boasts a refreshed look for 2019. The front bumper looks sharper, with two chrome strips dividing top from bottom and splitting the fog lights as well. The lower center grill has been reworked, making it larger and more prominent. In back, the pencil-thin red line has been replaced with a bold red stripe running from taillight to taillight. The rear reflectors and turn signals are now stacked. We’re also getting new 16-, 17- and 18-inch alloy wheels, along with a gloss black radiator grille, gloss black and silver skid plate and dark chrome inserts on the side sills and rear tailgate. Overall, the effect is sportier and more aggressive, in keeping with the Kia approach to vehicle design. 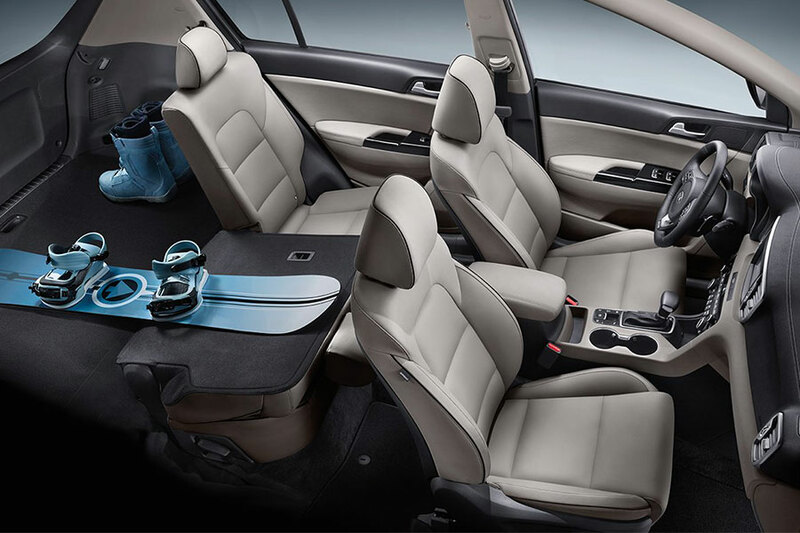 Step inside the 2019 Kia Sportage and you’ll see a few changes right away. Your hands grip a new steering wheel while your fingers dance across a redesigned instrument cluster. The upholstery has a new two-tone look: black and gray. New safety features include Kia’s Smart Cruise Control with Stop & Go, an Around View Monitor to help with parking and Driver Attention Warning. Kia is making even more of a successful Sportage, but they’re not stopping at design. The European launch of the Kia Sportage Hybrid is an exciting tease of what American customers might be able to get their hands on by the end of the model year. The 2019 Kia Sportage has seen its sales skyrocket across the pond, so Kia is introducing their ultra-mild 48-volt hybrid system in Europe to see how it fares. Fingers crossed that we too can buy a Kia Sportage with this innovative technology! The Kia Mild Hybrid Starter and Generator (MHSG) is a fuel-saving system that imperceptibly shuts off the engine when braking brings you below a speed of 10 mph and starts it again as soon as you hit the gas. The engine can also shut down while coasting. The technology is so smart that Kia and other manufacturers guarantee you won’t notice a bit of difference except as you watch the fuel savings pile up. This technology, because it’s not integral to the engine or battery, is easy to implement. Look for it in late 2019 or the next year or two.